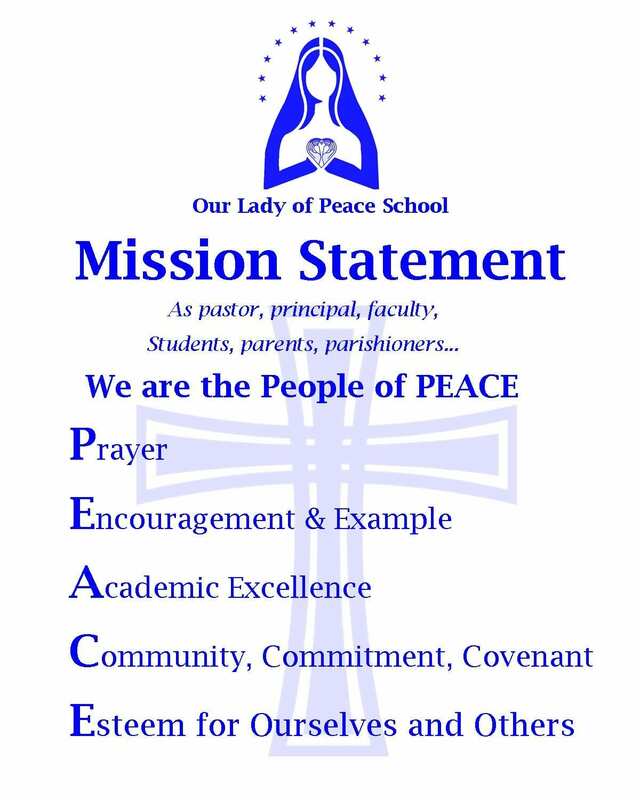 Our Lady of Peace School is a Catholic community of Pastor, Principal, Teachers, Parents and Students in covenant spirit committed to spreading the gospel values of Jesus Christ and providing a quality education. Our school exists to provide the spiritual, academic, social, emotional and physical excellence of our students. 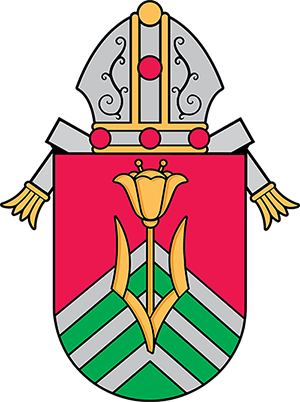 We are called to the Church’s mission to teach as we strive to develop the whole person – demonstrating respect and understanding for each child as a special and unique individual. Based on this covenant spirit in Christ’s name, we will attain our goal through prayer, commitment, collaboration, example, guidance, faith and trust in God.